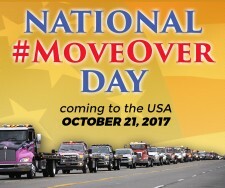 PHOENIX, September 28, 2017	(Newswire.com) - ​The towing and recovery industry is holding a National Move Over Day on Saturday, Oct. 21, 2017, to raise public awareness of the roadside dangers that towing operators face on a daily basis. The event, spearheaded by the Arizona Professional Towing and Recovery Association (APTRA), includes the participation of state towing associations and individual towing companies across the country, from California to Maine. 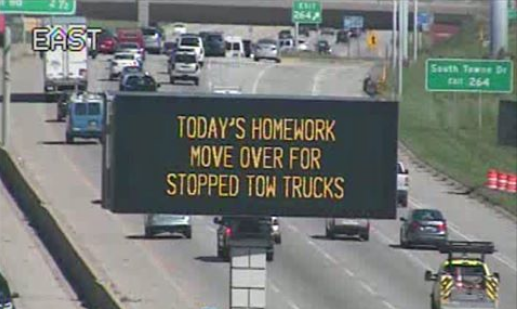 Every state in the nation has passed a Move Over law covering police, first responders as well as towing operators whose "office" often is on the side of the road. The laws state that motorists move over one lane or slow down by at least 20 miles per hour as they approach accident scenes, creating a safety zone for roadside workers to do their jobs. We are losing towing operators at an enormous rate. 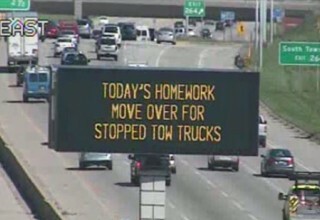 Anything we can do to help stop this, and create awareness for tow trucks, we should try and do our part. "We are losing towing operators at an enormous rate. Anything we can do to help stop this, and create awareness for tow trucks, we should try and do our part," said Angela Barnett, executive director of APTRA, which is organizing the effort. APTRA has held an annual Move Over Day in Phoenix for the past three years. There are no national statistics about accidental tow operator deaths, but the International Towing & Recovery Hall of Fame and Museum in Chattanooga estimates that 60 tow truck drivers or operators lose their lives each year in roadside accidents. 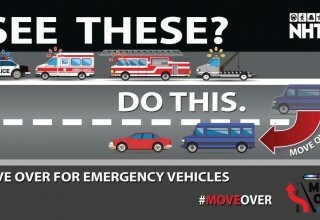 Unfortunately, the general public lacks a keen awareness of Move Over laws. A National Safety Commission survey indicated that 71 percent of U.S. drivers are unaware of Move Over laws. In addition, the national increase in distracted driving continues to place towing operators in mortal danger as they seek to help others in distress. In a paper on the subject, the Pew Charitable Trusts wrote in 2015, "Speeding past emergency vehicles is an everyday occurrence on the nation's highways, even though every state has a 'move over' law that requires drivers to slow down or switch lanes when emergency vehicles are on the scene. Failing to heed the laws can result in fines and serious criminal charges if someone is killed." Arizona – Arizona Professional Towing & Recovery Association; Angela Barnett, executive director, angela@aptra.net. California – California Tow Truck Association, Sacramento, California, the largest state towing organization in the nation; Eric Gould, marketing, egould@ctta.com. Connecticut – Towing & Recovery Professionals of Connecticut; Tim Vibert, president, timvibert@yahoo.com. Florida – Emerald Transportation Inc. of Pompano Beach, Florida; Jim Jennings, president, jim@emeraldtowing.com. Maine – Towing & Recovery Association of Maine; Stacey Downes, owner, KDT Towing & Repair Inc., Augusta, Maine, mainetowing@yahoo.com. Michigan – Priority Collision Center, Hastings, Michigan; Matt Spencer, owner, or Jacquie McLean, office manager, towman704@gmail.com. New Hampshire – New Hampshire Towing Association; Rene Fortin, president, nh401s@comcast.net. New Jersey – Garden State Towing Association; Mary Leigh Barbusin, mlb@gsta.org. New Mexico – All-Rite Towing & Repair, Tucumcari; Linda Unruh, president, info@allritetowing.com. Unruh lost son Bobby in a roadside accident in 2017. Oregon – Oregon Tow Truck Association; Gary McClellan, president, gary@raystowing.com. Maine and New Jersey are partnering with their state DOT and safety agencies to create a presence at interstate rest areas. More states will be added as they come on board. 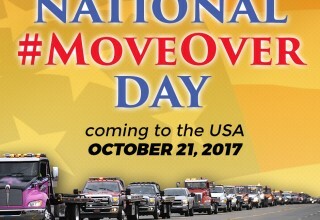 Photos and videos of National Move Over Day will be posted on Facebook under National Move Over Day. 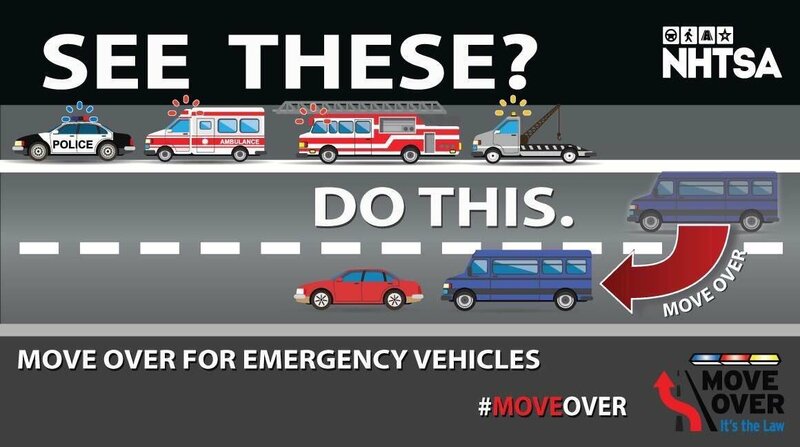 APTRA also has established the hashtag #moveoverday on Twitter. 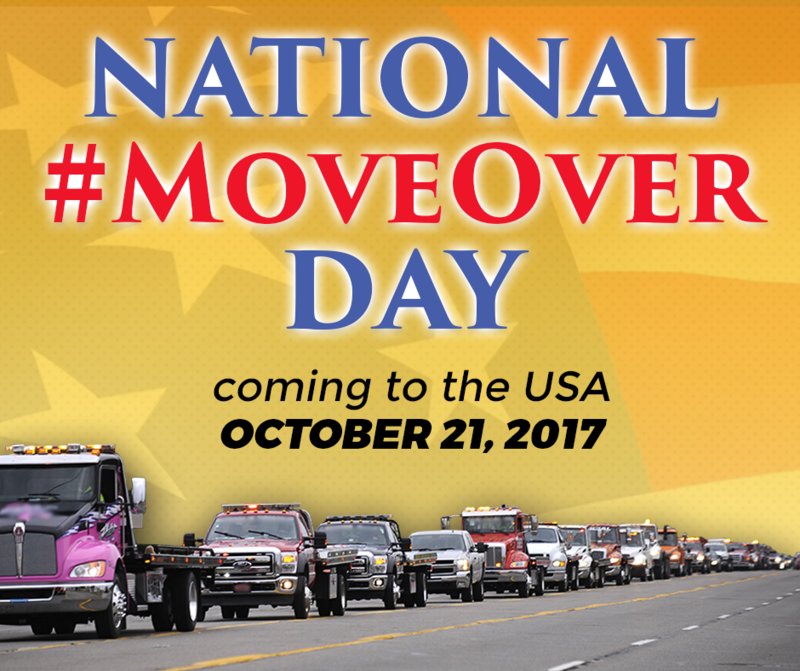 Participants will use the hash tags #nationalmoveoverday, #moveover, #saveourlivesmoveover on Oct. 21. For details, contact Angela Barnett of the Arizona Professional Towing and Recovery Association, at angela@aptra.net or 512-484-7928.